The Cadillac CT6 sedan might be dying in America after a short and tumultuous life here, but that doesn’t mean its performance variant, the CT6-V, has been forgotten. Instead, the CT6-V is here, drowning out its close relative’s problems with a 550-horsepower twin-turbocharged V8 and a base price of $88,790. Oh, and those looking to get in on the fun might want to hurry, maybe. Cadillac said it’s capping preorders at 275 models in the U.S., although it isn’t clear what exactly that means. 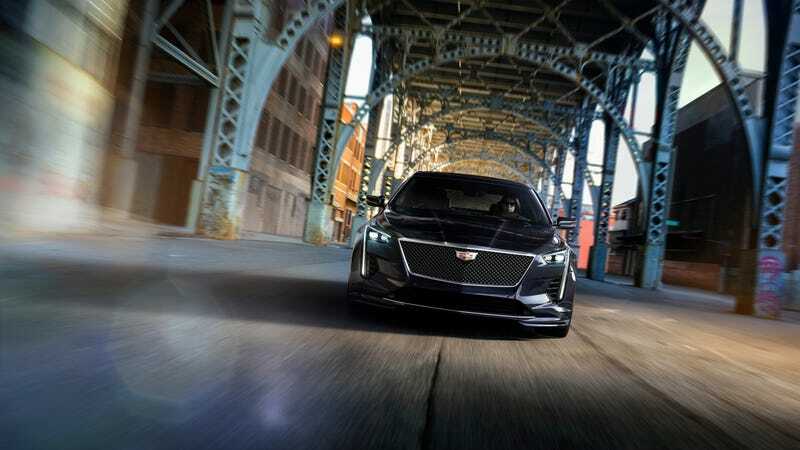 The car and its nearly $90,000 base MSRP include a pass to the Cadillac’s two-day V-Performance Academy driving school at Spring Mountain Motorsports Ranch in Nevada. The price of the school and accommodations starts at $2,470 without a car, and we’ve been a couple of times, if you’re interested. The spokesperson didn’t say what benefit there is to being part of the 275 preorders on the car, other than just getting in on things early. We also asked about the CT6-V in general, since there’s been a lot of news about discontinued cars out of General Motors lately. Although we barely knew it since it came out in 2015, the regular CT6 is getting the axe on June 1, while Cadillac continues to say that its V performance models aren’t going anywhere. No matter how long or short our time might be with Cadillac’s V cars, it’s good to have them around—even if we’re not sure what the advantage is to ordering them early.